Allied Universal, a leading national security services company that provides security for most of Rochester’s high rises announced its move to 3 City Center Thursday. The company has around 400 employees in Monroe, Ontario and Wayne counties, mostly security guards, said branch manager Eric Fuehrer. While its Rochester operations mostly involve security personnel, the company also provides cameras systems and other security products for commercial, government and manufacturing spaces. Its Rochester office was previously located in Eastman Business Park. 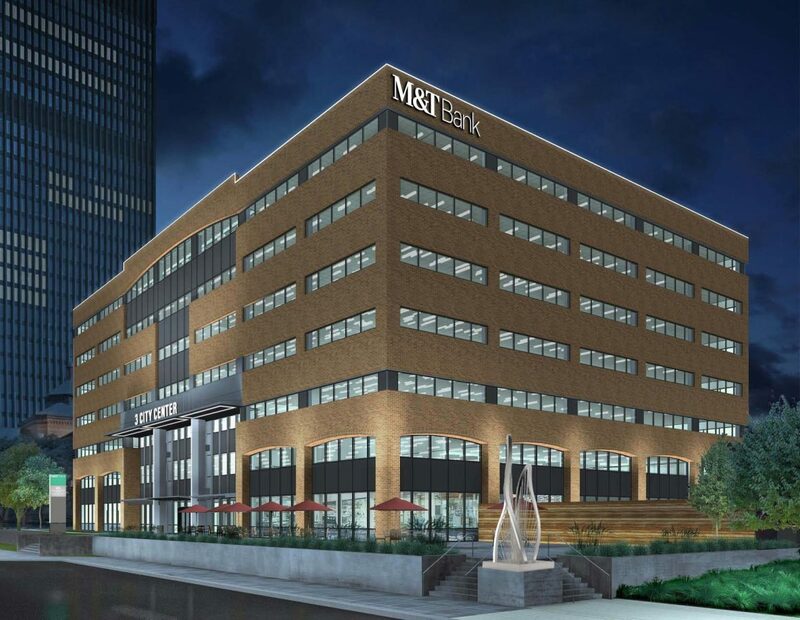 Allied provides security for buildings like Five Star Bank Plaza and Tower 280, and decided it made sense to move its offices to a central spot. “Rochester is in a revival downtown, and we wanted to be in the heart of that,” said Fuehrer. 3 City Center was once the site of Frontier Communications’ headquarters, and M&T Bank moved its regional headquarters to the building last year.The interior was completely overhauled, and now has a fitness center, new lobby, among other improvements. Click to see original article.